A year ago, STEM Majors Asma Ahmed and Austin Wong-Parker were down on their luck. Competing to apply for internships at large companies had left them with a handful of rejection letters and a month’s worth of wasted time. They might have given up their pursuit for industry internships if it wasn’t for the encouragement of a SciTechsperience student outreach coordinator and the support of a STEM-exclusive internship program. After applying through the SciTechsperience Internship Program, Wong-Parker and Ahmed quickly secured internships at the Comtrol Corporation, a New Brighton-based manufacturer that for the past five years has relied on SciTechsperience to help find, hire and pay its interns. 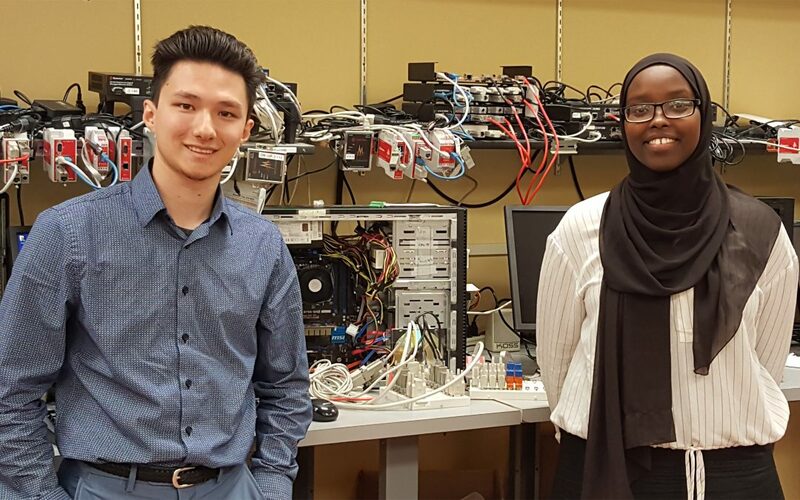 By using the SciTech database and job board, Wong-Parker and Ahmed could focus their time and energy searching for industry-specific internships in local, small Minnesota companies. In addition, their SciTech applications came with an employer hiring incentive, offering SciTech businesses, like Comtrol, a 50 percent wage reimbursement, up to $2,500 per student, when they hire their interns through the program. Ahmed, a mechanical engineering major at the University of Minnesota, primarily worked with Comtrol’s HW Engineering Manager Fazlul Karim. They both gained from the internship’s mentor, mentee experience, trading Karim’s industry experience for Ahmed’s fresh ingenuity. 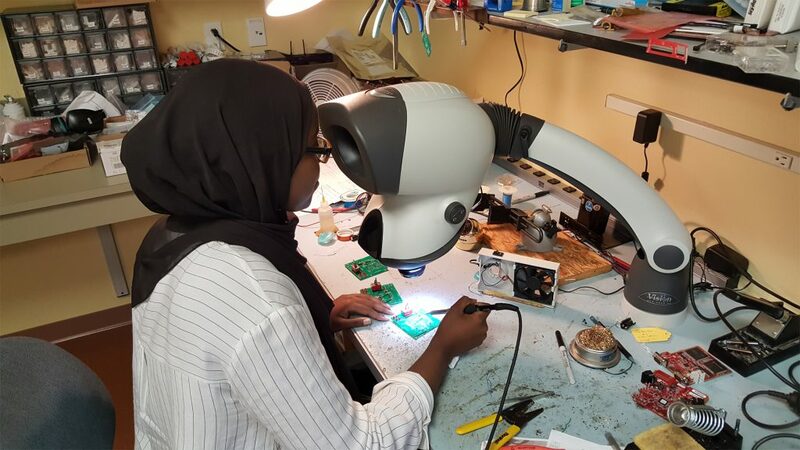 Ahmed assisted Karim’s team in assuring that all components for their prototypes were accounted for, and, when new boards arrived, she helped inspect, program, test and assemble them to then be sent to awaiting Comtrol customers. During this time she also worked on creating quality reports, and production test procedures. 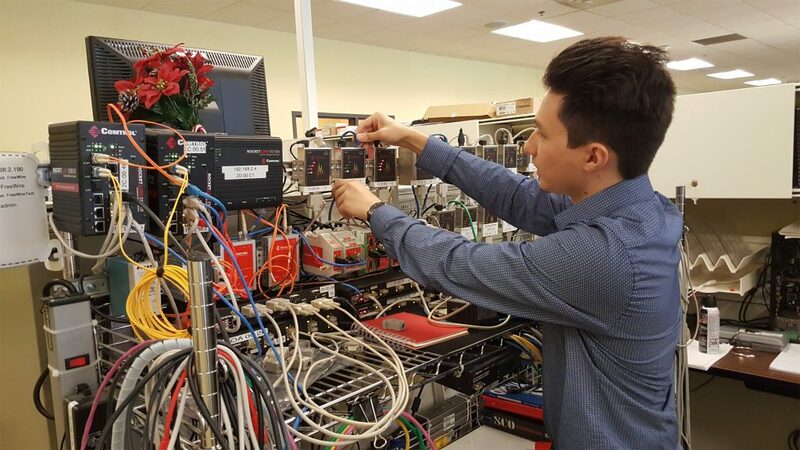 While Ahmed was working in engineering, Wong-Parker put his skills in IT infrastructure to the test and assisted Comtrol’s Manager of Technical Support, Kurt Rees, with some of Comtrol’s coding initiatives. For Wong-Parker, Ahmed and the team at Control, their SciTech internship experience has opened multiple doors for success and motivation. Even as a small business, Comtrol can afford to add these ambitious young minds to their team, getting the additional help they require while helping inspire Wong-Parker and Ahmed as they take their next steps toward their professional careers.